Introducing new look OutNav, Matter of Focus: Evidence. Action. Change. We are continuing to improve OutNav’s functionality and user interface in order to provide a streamlined and effective process for meaningful and collaborative outcome evaluation. We are grateful for the feedback from our clients, which always informs our development. Here, we describe the latest updates being released this week. The biggest change in this release is the refinement of the previous six-step process into three activity areas: Mapping, Tracking and Reporting. This simplifies the navigation and reduces the number of clicks to get to different functions. What has been improved in the software? Mapping has kept the same functionality, but now holds both Mapping outcomes and Plotting pathways under one heading. If you want to focus on a specific pathway, you can collapse the others using the ^ icon to the left of the pathway name. 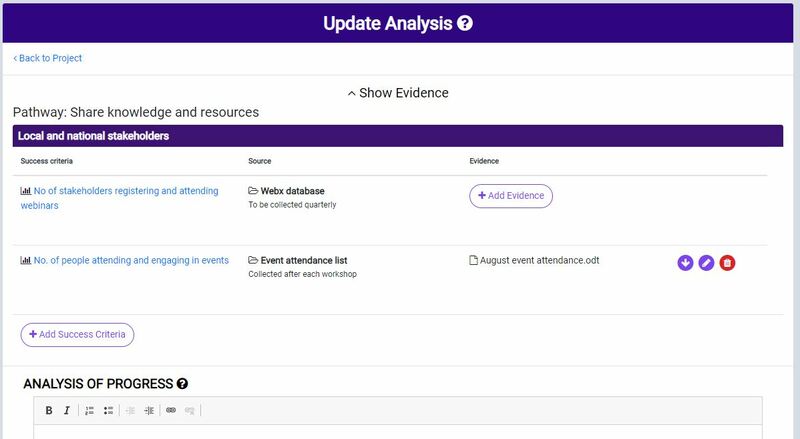 Define success measures and upload evidence have been amalgamated into one page, Plan evaluation, where you can set up your data collection plans (see image below). From this page you can define your success criteria, attach sources and upload evidence against it all in one place. You can also click ‘upload evidence’ where you will be taken to a page which lists all of the steps, measures, sources and evidence that link to this pathway. Upload, edit and delete evidence in one place. Plan evaluation gives you a helpful overview of the areas where you have success criteria and sources attached and where there may be gaps in your evaluation. In Track progress, you now can access and add all of your data attached to a stepping stone on one page. Click on any stepping stone, and you will find a table containing your success criteria, attached sources and any added evidence above the analysis box (see image below). This page is an important update as you can now carry out your analysis while referring to your evidence and criteria, without having to navigate through to other pages to find or add sources and evidence. If you have many sources and measures and would prefer to just see the progress summary box then simply click ^ show evidence again to hide this tab. We are excited to have designer Michael Heins (of More Yum) working alongside our software engineer Steve D’Souza to develop the reporting function to bring more choice of content, design and layout of reports. This is going to be a real innovation, allowing you to customise each report you generate and modify your content depending on your audience. 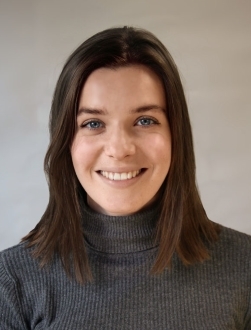 These developments will be implemented in stages over the next few months – we will keep you updated here on our Insights product functionality and updates pages and via @outnavchat on Twitter. We hope you like the new look and feel of OutNav and you enjoy the improvements. 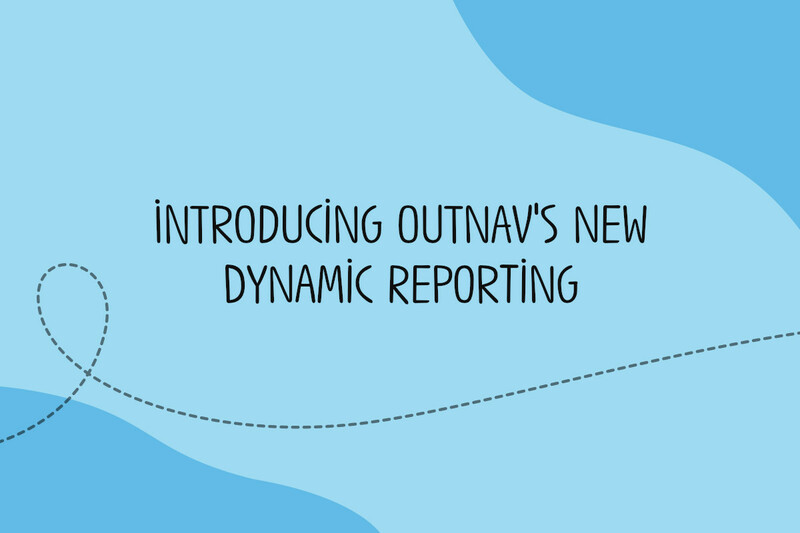 If you are a frequent user of OutNav and have any comments or suggestions to help us continue improving the software, or you would like to volunteer to test the reporting functionality developments, please get in touch. The OutNav community is also on twitter, so why not start up a conversation!